Hands up if you’ve thought about skipping a home inspection when trying to nab your dream home? Many people are tempted to skip house inspections in an effort to quickly seal a deal. You’ve found your dream home and all you want to do is move in. Right? But what happens if you don’t schedule dream home inspections before you buy? Read more here. First things first. In order to understand why general home inspections are important, it’s helpful to truly understand what they are. The home inspection usually occurs at the time of the sale of the house. It involves an all-encompassing examination of a home. While these inspections aren’t required for a mortgage loan, they’re highly recommended. Costly repairs are often hidden behind pretty cover-ups. The last thing you want is to have the wool pulled over your eyes and be left with a whole range of expensive issues. Importantly, a home inspection is non-invasive. This means that a residential home inspector doesn’t have to open up any walls. However, they will inspect the home’s plumbing, electrical, and HVAC system. The foundation, attic, and roof will also be checked for potential areas of concern. Home inspections also include an evaluation of the appliances including the refrigerator, washer/dryer, stove, and the water heater. It’s pretty simple. A home inspection is an inexpensive way to find out the universal condition of a home. Competitive property markets are common these days. Because of this, buyers may experience frustration when trying to have their offers accepted. If your offer keeps getting beat out, then you might be tempted to skip the all-important home inspection. Agreeing to waive the inspection is a bad idea for a few reasons. While the home may look fine to you, it’s often what lies beneath the surface that’ll cause the biggest issues later on. Serious problems are often totally untraceable to the naked eye. It’s the items that you’re unequipped to identify as problematic that usually come back to bite you. Common examples of issues like this are termite infestations, leaks in the HVAC system or even asbestos. All of these problems typically won’t be spotted by the buyer. Keep in mind that a home is one of the most important purchases you’ll ever make. Even if you think you’ve found your dream home, the chances are that it needs some pretty serious repairs, even if you can’t see them. It’s the home inspector’s responsibility to bring this to your attention. The time, money and stress it’ll save you down the line are worth it. Believe us. As we’ve said, a good home inspection assists buyers in understanding exactly what they’re going into. As such, a good home inspector assists buyer’s in their understanding of exactly what they’re about to acquire. Certified home inspectors are professionals who conduct inspections of the general condition of a house. It’s the home inspector’s duty to unveil issues that the buyer would otherwise not have noticed. Home inspectors are responsible for conducting extremely thorough inspections to a prospective property. They work with the understanding that you’re about to make the biggest purchase and biggest investment of your life. Because of this, home inspectors have your back. It’s important to trust your inspector so that you can be totally confident in their ability to bring potential issues, no matter how hidden, to your attention. 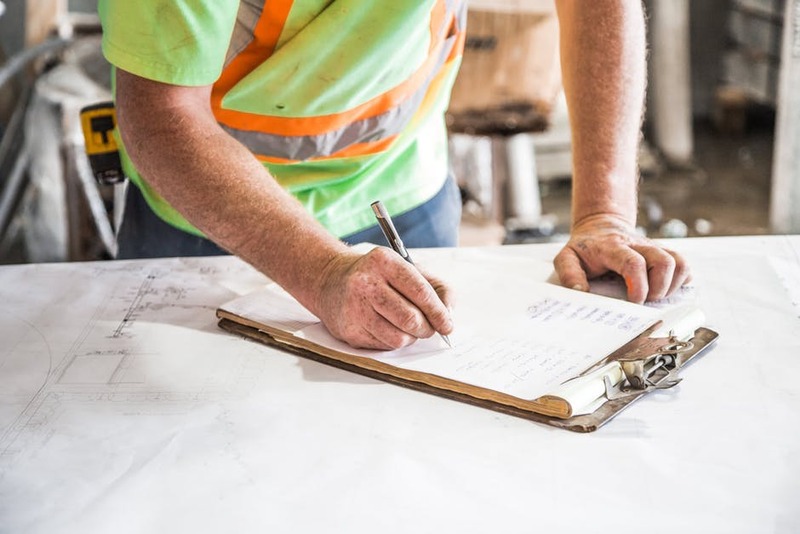 When you pay a certified home inspector to conduct an inspection, you’re potentially safeguarding yourself against immense insurance and construction costs further down the line. It may sound obvious, but if you’ve found your dream home, please have it inspected. Real estate agents report that people are increasingly likely to waive home inspections in an effort to secure their dream home. Agents are very clear about their disapproval of this decision. In addition to electing to have to new home inspected, it’s recommended that you attend the inspection. Being present during the inspection allows you valuable insight into the property. Seeing your home through the eyes of an expert is an incredible opportunity. Depending on the size of your home, an inspection can take between 2 to 5 hours to complete. During this time, you can find out about potential maintenance necessary after you move in. You’ll also gain even more peace of mind knowing you were present during the process. After reading this it’s clear that dream home inspections are non-negotiable. To ensure the inspection process runs as smoothly as possible, you’ll need to find a home inspection company you can trust. If you’re looking for experienced inspectors for houses that make the process easy and painless, please contact us. We’re more than happy to guide you through the experience, helping you identify problem areas. Our aim is to answer your question and provide support along the way. We’re here to help you make an informed real estate transaction.